Trying now to get a neat toe, so I’ve done a temporary cast on above the toe – held here on circular needles. 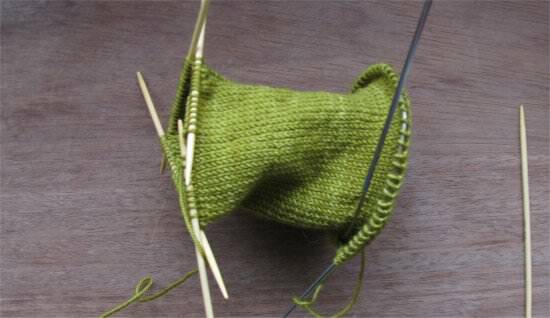 When I’ve finished the rest of the sock, I’ll knit down to the toe and see how that looks. In singing today, I sight-sang a new-to-me song by Michael Head called Dear Delight.